the Hindu Festival - Diwali. 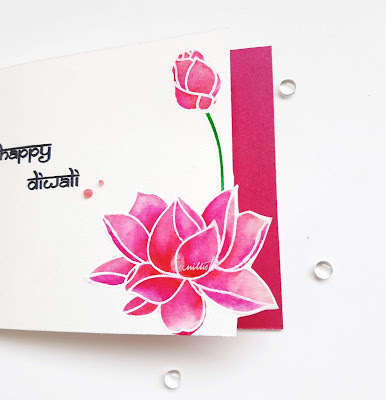 I white heat embossed the lovely lotus from a stamp called Lotus of prosperity from an Indian brand - Ranganjali. I coloured it using Real brush pens and added sheen with a spectrum noir pen. Though it's difficult to see that in the pictures. I did a little partial fussy cut of the flower and added a shimmer cardstock in the similar colour of the flower to the inside of the card. The sentiment has a look of the Hindi script called Devnagiri, with a line to connect at the top, gives it an Indian touch. If it were in Hindi, it would have looked like this - हैप्पी दिवाली ! I hope you like my attempt of the OLC (one of my fears) and would join us at Time Out Challenges for this new challenge. Thank you for visiting, happy crafting! Congratulations ishani on your GD spot and many more. So pretty in pink 💕😍. Good morning, Ishani!!! I am so happy that you are the Guest Designer at Time Out - which also means you were a winner - yay! 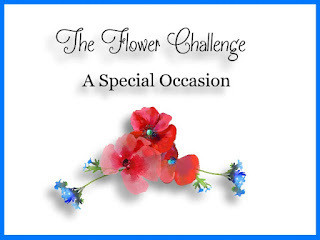 Truly a gorgeous bloom, and wonderful celebration - in any language! 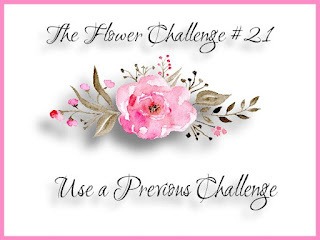 Congrats on your Guest Post Ishani ! Loved the beautiful and CAS Diwali card ! Thanks a lot Dear, am glad you liked it! What a beautiful card Ishani - I love the lotus and how you have partially cut it. The script stamp you have used certainly gives the impression of Hindi script. Congrats on your GD. Your bright and beautiful flower is gorgeous. Love all the white space too. 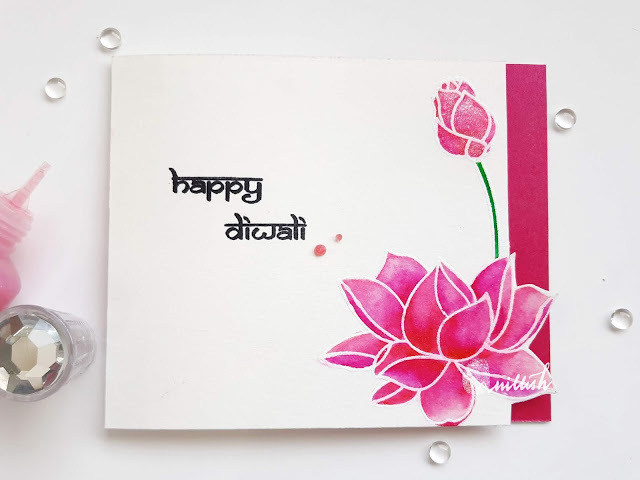 Love this beautiful card for Diwali, and also seeing how you wrote the sentiment in Hindi. Beautiful script. Thanks so much for being our Guest Designer at Time Out. This is a really elegant and sophisticated card! It is stunning and you made it stunning with only a couple of colors! Wow! I love the bold and subtle tones of pink that you used and how the sentiment stands out so well. This came together perfectly and I'm so glad you shared your talents with us for this week's Simon Says Stamp Monday Challenge! Love the Indian feel of this card! 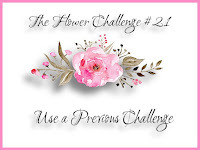 Your coloring looks amazing and I love this design -all the white space and the pink strip of color really makes the flower pop. Great work!